Manage creativity, execute design, and lead product development. A stylish, ergonomic, and wearable watering device for gardeners. Combining technology and gardening to advance one of the most popular American hobbies. 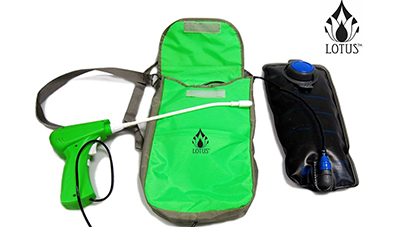 The Lotus is a novel plant watering device for gardeners that incorporates both an external waterproof sling-bag and a battery powered, trigger operated wand and nozzle for dispensing water. A lot of hosts have trouble providing healthy food for their guests, while adding elegance to their table. 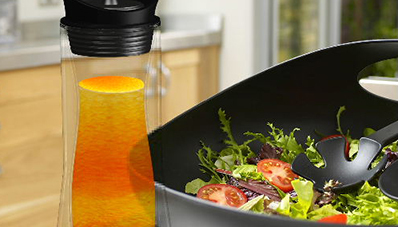 A salad dressing mixer that allows consumers to emulsify their homemade salad dressings while elevating the visual and sensory side of the home dining experience. There is currently no complete electronic systems solution for infant-feeding. 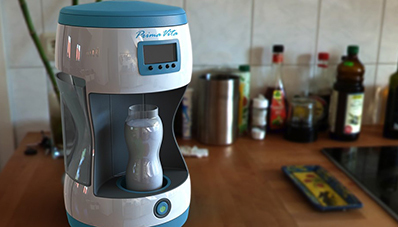 The PrimaVita™ is a compact and user-friendly infant formula feeding solution appliance that is able to be positioned with other small appliances in the kitchen, or use via a cordless option that runs on rechargeable batteries. A discreet, easy-to-program wristband that provides a vibrating reminder to the wearer. Most people have forgotten to take their medication at some point. 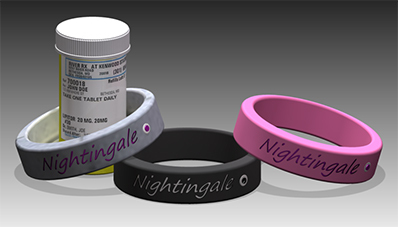 The Nightingale Flight™ is a one-button, easy-to-program wristband that provides a discreet, vibrating reminder to the wearer. An engaging, sensory ecosystem for learning how to read. Students of all ages often encounter difficulties when learning how to read. 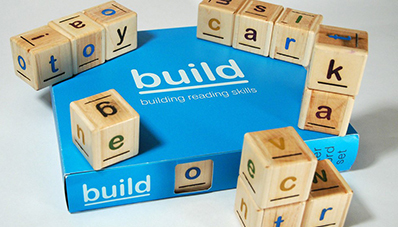 The BUILD team studied learners in action to develop this new learning ecosystem consisting of sets of modular magnetic wood blocks that progressively build on reading skills. As the number of devices increases, so does the number of cords that each consumer must manage. 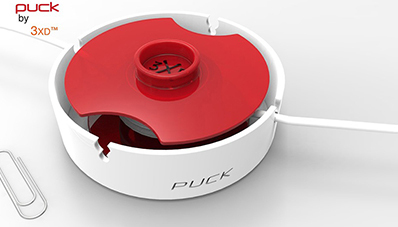 The 3XD™ puck™ is a cord management system for smart-devices that easily hides, identifies, and separates cords for storage or transport.